Summer is the outdoors season, where we can really enjoy nature, as we don’t do in any other season. The only inconvenience may be the sun too hot, for which there are enough solutions, and the mosquitoes, who always give us headaches…and bites. Fortunately, there are plenty of solutions to keep them away and that will make you smell great. Another excellent mosquito solution is thyme oil, which has been shown to have a skin protection rate of 91%. 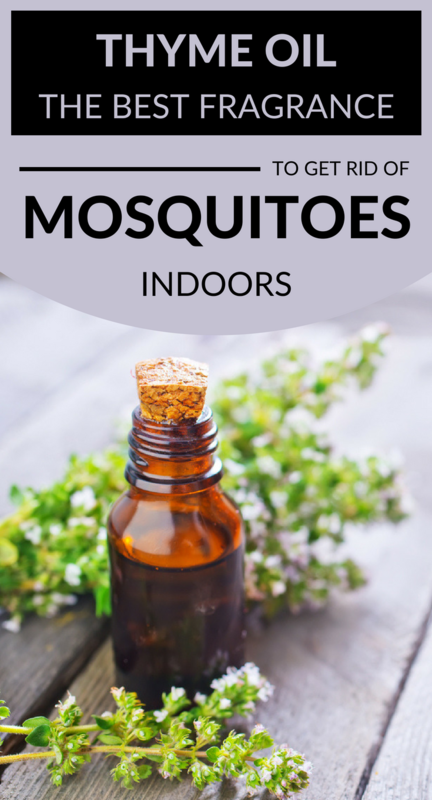 This oil is anti-inflammatory effects and nourishes your skin, so you have no reason not to use it when you want to get rid of mosquitoes. As cinnamon oil, you should know how much thyme oil you have to use not to irritate your skin. You can make a mixture of 4 drops of thyme oil to 1 teaspoon of olive oil (or almonds, jojoba, etc.). If you want to use thyme oil on various fabrics and materials, to repel mosquitoes in the house, add 5 drops of thyme oil to 80 ml of water.